This is my last day in Cambridge following this year’s summer conference organised by the Institute for Orthodox Christian Studies. As usual, I began the day with a five-minute walk from Sidney Sussex College to Saint Bene’t’s Church, where I have been attending the early morning Eucharist at 8 a.m. throughout this week. This morning, the associate priest at Saint Bene’t’s, the Revd Rachel Nichols, presided at the Eucharist, and in the Calendar of the Church we remembered Saint Gregory the Great. The readings were: Ecclesiasticus 47. 8-11; Psalm 100; 1 Thessalonians 2. 3-8; and Mark 10. 42-45. In a week in which many of the discussions have been about Orthodoxy, ecumenism and dialogue, it was interesting to reminded that Gregory was a bridge between the Church of the West and the Church of Constantinople. But it was interesting too to be reminded of his role in initiating the mission to England, sending Augustine to refound the English Church. At the back of the church, I picked up the September edition of Franciscan, the magazine of the Society of Saint Francis. This edition is devoted to the Radical Orthodoxy movement, with essays by Alison Milbank, James Walters, Toby Wright and Steve Holinghurst debating a movement that has been strongly influenced by Anglican theologians in Cambridge and that seeks to find our way back to the roots of an orthodox Christian perspective that gives rise to a much more holistic view of God’s world. In some ways, these essays bring together many of my experiences this week in Cambridge, both at the IOCS summer conference and at the Eucharist in Saint Bene’t’s in the early morning. Do you know what is a tripos? Or what is a gyp-room? What was a ten-year man? What was the Wooden Spoon? Did you know the May Balls and the May Bumps take place in June? Cambridge has its own vocabulary, its own peculiar names for places, and its own language. It takes so long to master both that Cambridge University Press has a guide to these special words and usages by Frank Stubbings, Bedders, Bulldogs and Bedells: A Cambridge Glossary. But if you have mastered this vocabulary and this peculiar set of names, then you know you know that Jesus Ditch separates Jesus Common from Jesus Close, you know Christ’s Pieces from Parker’s Piece, and you know where the apostrophe goes in Queens’ College. And you know too that the “Cambridge week” goes from Thursday to Wednesday, why we divide on Friday, and that the new year is starting on 1 October. 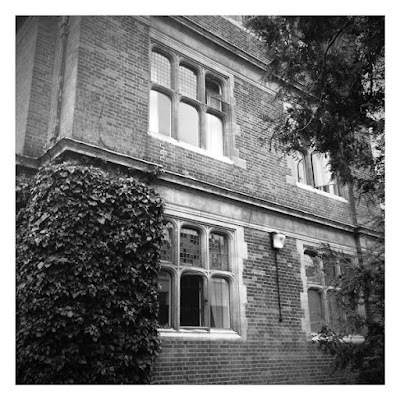 A court in a Cambridge college is not somewhere to face trial and punishment, but is the equivalent of an Oxford quad. In Cambridge colleges, including Sidney Sussex, students often identify with their stairs, which becomes a place for making friendships and sharing resources. This week I am staying on Stairs M in Cloister Court … in previous years, for example, I have stayed in Blundell Court, in Garden Court, on Stairs C overlooking Hall Court and on Stairs H in Chapel Court, among others. When I was staying on Stairs K in Cloister Court some years ago, I wondered whether there was a room numbered K9. Now that I am on Stairs M this year, I wondered, just for a moment, whether there was an MI5 or MI6, which might have been perfect for the Cambridge spies. 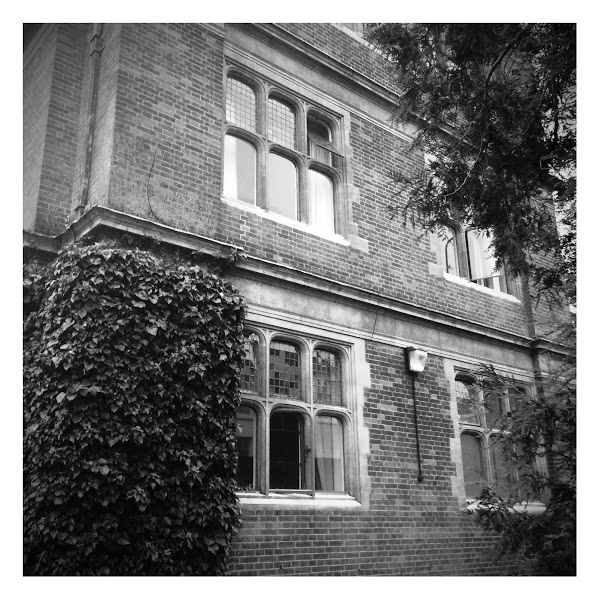 My rooms this week are at the end of Cloister Court, looking out onto the gardens and Jesus Lane. As I was checking out my bearings and location after my arrival, searching for the bathroom, I was reminded of another strange usage in the Cambridge vocabulary. The gyp, the bedder and the porter are all figures you expect to come across in Porterhouse or some other Tom Sharpe novel set in a Cambridge college. At one time, college servants did everything from patrolling the college grounds to polishing boots and boiling eggs. The colleges – and students – could not have functioned without them. The gyp, he said, was “a college servant, who attends upon a number of students... [who] calls them in the morning, brushes their clothes, carries parcels for them... and waits at their parties and so on.” Each gyp typically worked for all the occupants of a staircase. So a “Gyp” was a type of manservant in Cambridge colleges, and in Oxford they were known as scouts. The term may date back to the mid-18th century and perhaps comes from an obsolete word gippo meaning a menial kitchen servant, but originally denoting a working man’s short tunic, and this in turn is derived from an obsolete French word jupeau. The Gyps no longer exist, but their memory survives in the name used for the “Gyp room.” This was once the room where a gyp awaited a call from his gentlemen, but today it is a small, basic kitchen for the use of college members, both staff and students. And the “Gyp Room” on Staircase M in Cloister Court has been an important place for making late-night coffees throughout this week. I close the door behind me on M3 and the Gyp Room check out of Sidney Sussex College later this morning.